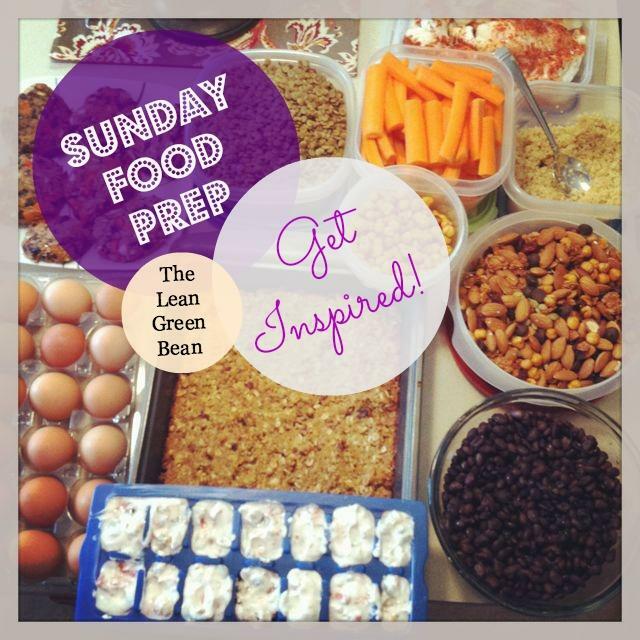 Time for a little food prep inspiration! I didn’t actually do any food prep last weekend because my mom and sister were in town through Monday and I was absolutely exhausted by the end of the weekend. I did pull 2 chicken breasts and a package of ground beef out of the fridge on Monday. Hubby grilled himself some sliders Monday night, as well as chicken for me. 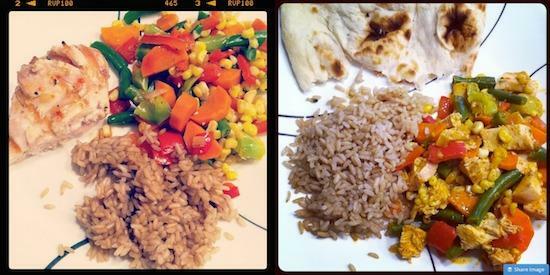 While he was grilling, I sauteed a big pan of veggies and cooked some brown rice. Monday night I ate chicken with Italian dressing, veggies and rice. Tuesday I repurposed the leftovers by adding a little coconut milk and curry paste and making chicken curry to eat with rice and some frozen naan from Trader Joe’s! I also have a couple of submissions to share with you! Broccoli,celery, and carrots prepared for snacks or to dip in hummus. This week I prepped tons of veggies including celery, cucumber, cauliflower, cabbage, green beans, brussels sprouts, baby lettuce, cucumber and snap peas. I also made a few lunch options, including salads + HB eggs, sandwiches, chicken salad, and stir fry. For dinner, I prepped paleo quiche and defrosted halibut. I’ll also make some salads and light dishes for dinner out of some of those veggies. Finally, for breakfast/snacks/whatever, we have cut up apples, washed blueberries, quinoa granola (recipe coming soon!) and gluten-free double chocolate zucchini bread. 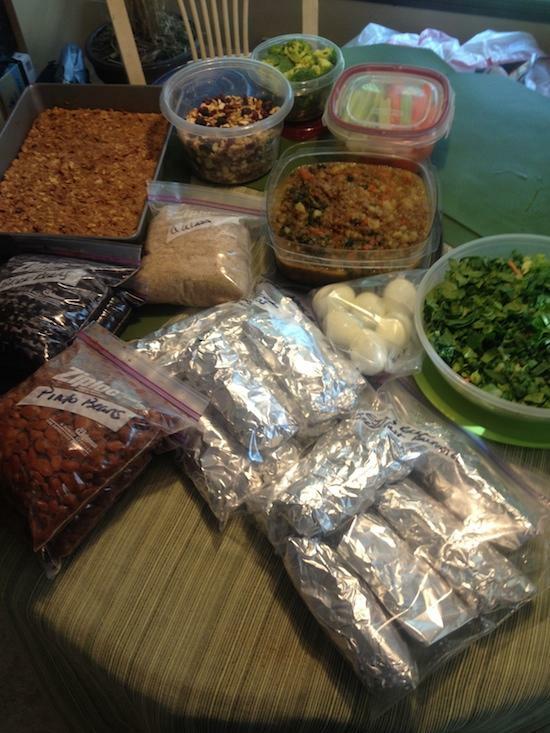 Are you food prepping this weekend? Send me your pic! I’m out of submissions! i know the feeling! so nice to have on hand and so frustrating when you want one and you don’t have any! all those fresh veggies look delicious and remind me i need to get my work lunch salads prepped! I spent all day packing and didn’t have time to prep! 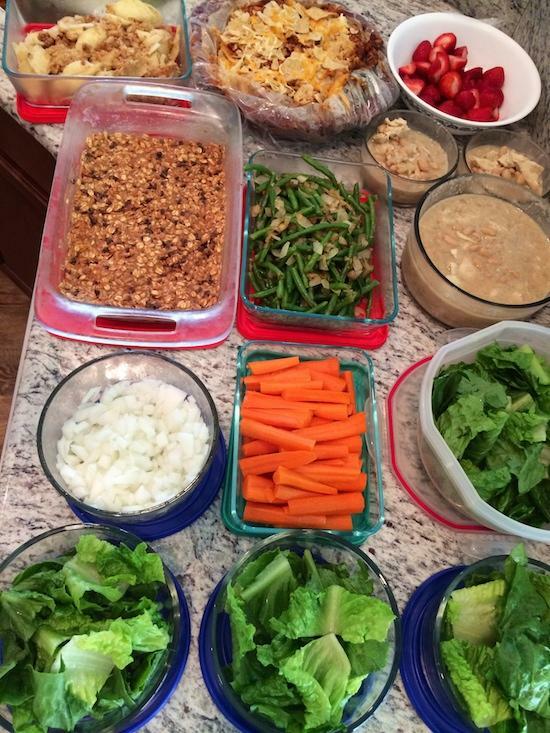 I really need to start doing this, my older kids are about to start school, but I also have a 4 month old at home, which means I need meals that are prepped and ready to eat! I imagine my life would be a lot simpler if I was as organized as you are! 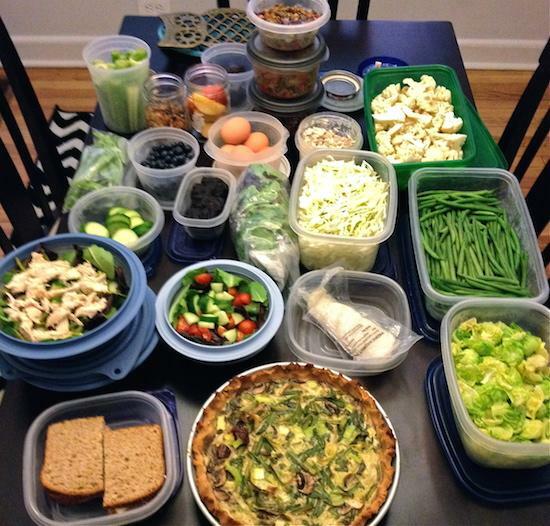 I think it’s so refreshing to see what other people are meal prepping! I might participate in this…thanks Lindsay!